YouTube has taken the polar plunge as advertisers and users are freezing out the video-sharing site over the discovery of droves of inappropriate comments on the videos of minors. The company says it’s taking immediate action to remedy the situation, in which thousands of flagged reports have apparently been missed. For those parents who don’t have time to wait for YouTube to protect your kids this Christmas, we have an incredible solution. YouTube is the perfect addition to your family’s holiday festivities – inciting rousing karaoke renditions of Deck the Halls or laughter abound as you and the kids watch your favorite Christmas Fails compilation. But lurking beneath this seemingly utopian Whoville of video cheer is a sinister beast that threatens the innocence and safety of our youth. No, we’re not talking about Krampus the Christmas demon, but another monster that trolls YouTube looking to prey on children – pedophiles. Videos of children that in no way appear unsuitable for YouTube, but that garner feedback like ‘Please can you get completely naked,’ or ‘Only wear one shirt and no bra. Or nothing at all is great to,’ reports BBC. Not to mention phone numbers, WhatsApp accounts and invitations to send more videos. It sends a chill down our spines too. Doesn’t YouTube Have A Naughty List? The video-sharing giant does have a system in place to eliminate less-than-desirable content and user accounts – including a combination of automated systems and human flagging. But with an 300 hours of videos uploaded every minute it’s understandable that some slip through the cracks. And of course, it’s even more difficult when the videos themselves appear innocent in nature. Eyebrows raise, however, when YouTube’s team of trusted flaggers have reported little support in their efforts to remove inappropriate comments for over a year. Or when BBC Trending submitted 28 clearly obscene comments directly to YouTube and only 5 were deleted. Or when 250 companies recently abandoned or scaled back YouTube advertising. Or when. Or when. Or when. So, does YouTube drop lumps of coal in the stockings of those on the naughty list? The answer is yes, sometimes. We take parental monitoring seriously, which is why we provide powerful tools to help you better understand your children’s online behavior. FlexiSPY is not meant as an invasion of privacy, but as a starting point for conversations about responsible decision-making with your children. About what is appropriate and inappropriate and about what to do if someone else is behaving in an unacceptable manner. We give you access to the most popular chat and social media applications, including YouTube, so you can step in if something is not right. Or if YouTube is too slow to catch a dangerous comment – or misses it altogether. FlexiSPY lets you see if your children have installed YouTube on their Android or iPhone and capture snapshots of what they are searching, watching or uploading on their channels – as well as comments left on their video posts. At FlexiSPY, we know how important your family is and we have a veritable Nice List of options to help you shed light on this growing problem that YouTube is working to resolve. Sometimes. 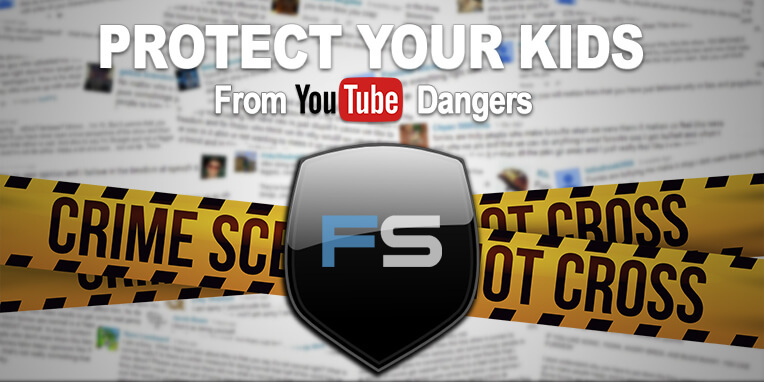 So, don’t get lost in the fog of predators and content overload this holiday season and protect your kids from YouTube danger. Allow FlexiSPY to be your Rudolph and let our software provide that extra glow that turns sometimes into always.